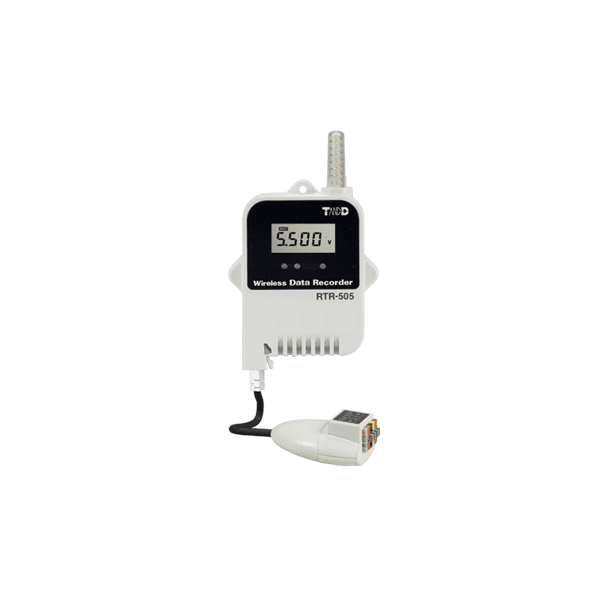 The RTR-505-V Wireless Voltage Data Logger is designed to measure and record voltage signals from various types of sensors and measuring devices. Two types of recording method (instantaneous or average) are available to be chosen from. It is equipped with a preheat function that transmits a preheat signal synchronized with the recording interval to turn sensors or other devices ON and OFF. Recorded data can be downloaded from the RTR-505-V Wireless Voltage Data Logger data logger (Remote Unit) via wireless communication with a Base Unit. The wireless communication range between a Remote Unit and a Base Unit is about 150 meters [500 ft]. By registering an RTR-500 as a Repeater, it can be used to expand the wireless communication range.